Earlier this year, we took a look at the Mass Fidelity Core, a relatively small speaker that was capable of outperforming speakers twice its size. 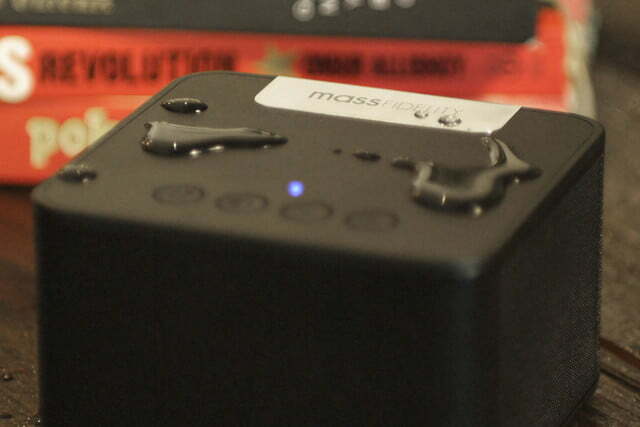 Now Mass Fidelity is back with a new model that is smaller, more rugged, and more affordable. The Mass Fidelity Rad is named for its use of radial dispersion technology, which the company says makes it perfect for outdoor listening or “unconventional listening environments” like bathrooms or kitchens. Normally, those locations could mean potential damage to the speaker, but the Rad is IPX5-rated for water and shock resistance. Given the smaller size and price, the Rad doesn’t pack in all the features of other Mass Fidelity speakers, nor can it provide the same listening experience. In our limited hands-on time with the Rad, we did find the sound to be impressive. The unit uses a five-speaker array with four 1.5-inch drivers and a 3-inch bass driver, each powered by its own amplifier. Combined, they offer a claimed frequency range of 75 Hz to 20 kHz. 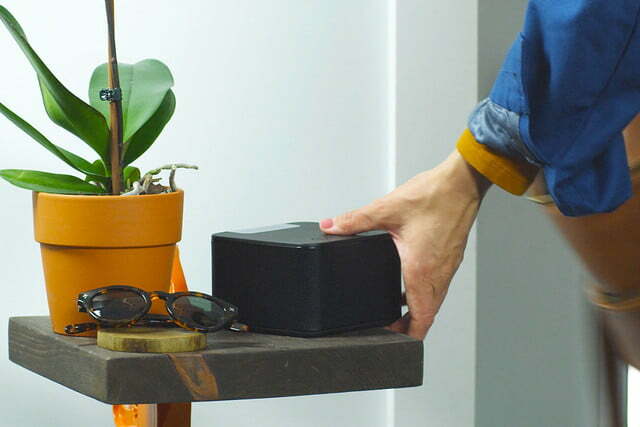 Despite the aim of being used in different environments than other Mass Fidelity products, the Rad can still connect with the Core and Core Wireless Sub, adding Sonos-like multiroom functionality to the feature list. A total of eight devices can be connected using the 5 Ghz network built into the aforementioned two speakers. 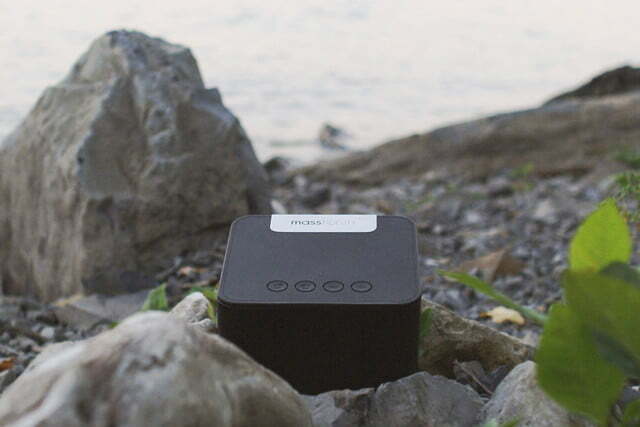 The Rad also features Bluetooth 4.1 andnear field communication for easily connecting mobile devices, as well as a standard 3.5mm auxiliary input. 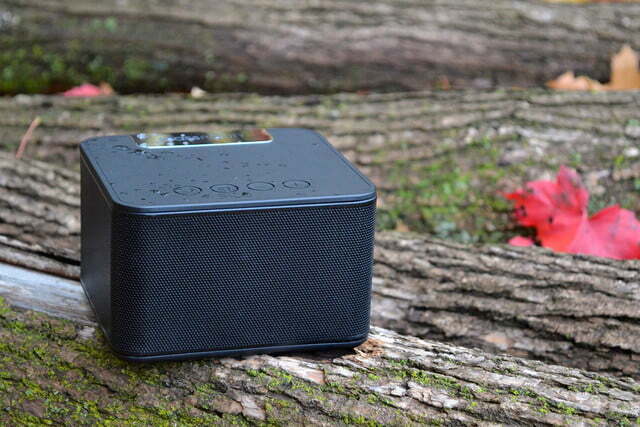 The speaker offers up to eight hours of battery life, and includes a full-size USB port on the back for charging mobile devices. The Mass Fidelity Rad is planned to retail for $300, but will first be available via an Indiegogo campaign launching Tuesday. 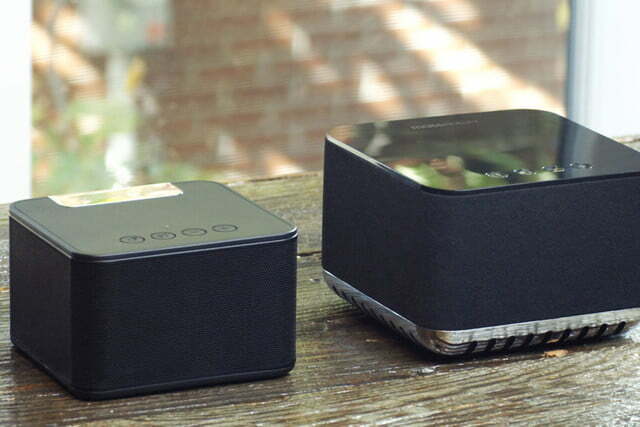 The speaker will be priced at $150 for the first 100 units, and will eventually increase in price to $190. Assuming the campaign is successful, the Rad is expected to ship to backers in April 2017.